Our team has the experience, skills, creativity - and adaptability - to make your event the best it can be. Down Right Productions formed in 2012 as an amalgamation of two production teams. Matt Cowan of DMC Lights and Hugh Currier of Bellatone Audio and Recording combined their respective talents to create an all-inclusive event production company. 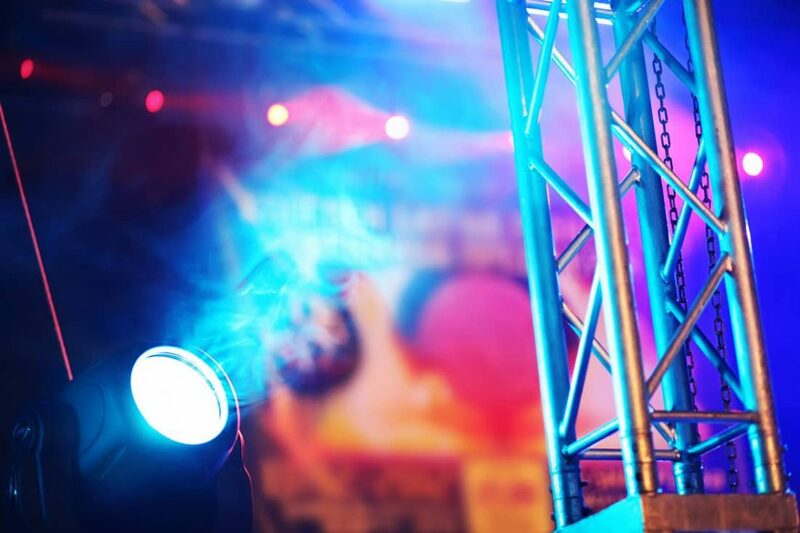 Having years of combined experience in theater, concerts, corporate events, and design, Down Right Productions provides unique, custom tailored packages for every type of event. DRP is fast becoming the area leader in equipment rentals and sales, representing many industry standard brands, designing events, and consulting on new building projects and LED lighting upgrades to existing venues. DRP is the preferred rental and event service vendor for the Massachusetts Higher Education Consortium (MHEC) and works with many colleges, schools, and individuals to put on great events. Matt Cowan has been working as a lighting technician since he was twelve years old. Before co-founding Down Right, he was the owner of DMC Lights, based in Northampton, MA. He is also the Lighting Director at the Calvin Theatre and teaches Lighting Design at Pioneer Valley Performing Arts School. Bill has been a part of the Down Right team since the start. Coming from a background in studio recording and concert audio, he handles many of the concerts and tours. He is also a talented lighting technician. If he isn’t busy touring the world or away at a Summer Festival, he is working locally on a Down Right show or at one of many local venues mixing bands and running lights. Amber has toured all over the USA and Japan with Broadway shows including Lin Manuel Miranda’s In the Heights and William Shatner’s one man show, Shatner’s World. She has designed shows locally for the Majestic Theatre and Smith College and internationally as far as China. She is also the president of the local IATSE chapter. If your show needs expertise in lighting, sound, or projection design, you will benefit from working with her.